Following a conversion rate optimization checklist is important for any online business. Are you prepared to optimize your conversion rate in 2018? It is important to know the final interaction that people have with your website. What percentage of your visitors actually end up buying from you? Website analytics can be tricky. More often you end up spending your energy focusing on traffic than on conversions. Tons of traffic is worth nothing if you don’t convert that traffic into customers. Believe it or not, only 22% of businesses are satisfied with their conversion rates. The conversion rate that any typical website has is about 2.35%. However, the top websites have conversion rates 3-5 times more than average sites. 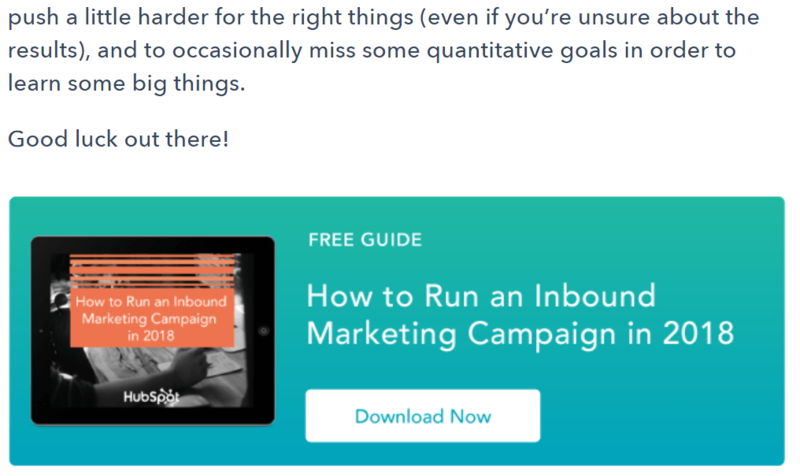 If you think that a conversion rate optimization checklist is all about changing few headlines and buttons, brace yourselves. Because I am going to list some crucial steps for conversion rate optimization. Remember, small changes = small gains. Do you know the attention span of a goldfish? It’s 9 seconds. And, do you know the attention span of average human? 8 seconds! That’s precisely the time your website has to make an impression. 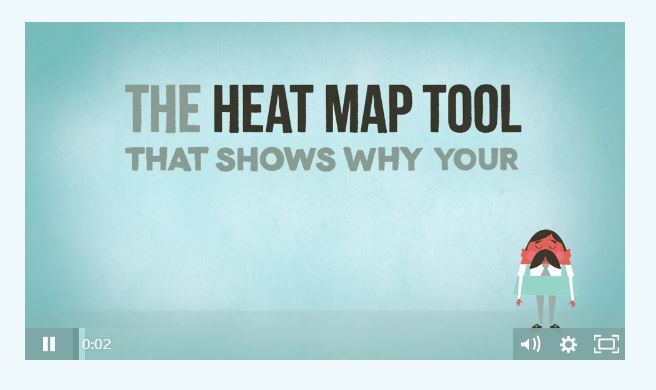 Your homepage maps the entire customer journey for your users. If you give them a bad homepage experience, you won’t convert your visits, no matter how great your product is. Hence, optimizing your homepage should be the first step towards conversion rate optimization. If people have 15 minutes to consume content, 66.67% of them prefer reading something that’s beautifully designed. Ensure the following elements in your website design before you go ahead with anything else. If your website colors are not balanced, it can put off your customer. The colors of your background, banner, and font should be well contrasted. Your background color should not hide any text, image, or clickable links. 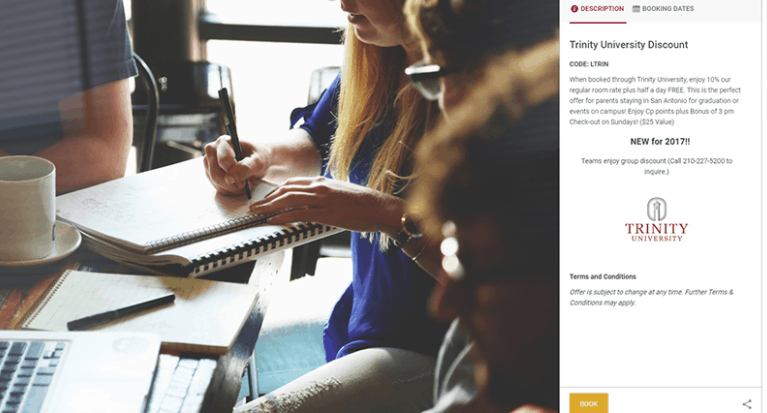 White Card Courses changed their subheading background and color of their CTA. This increased the payment page clicks by 20.9% and their conversion rate by 32%. 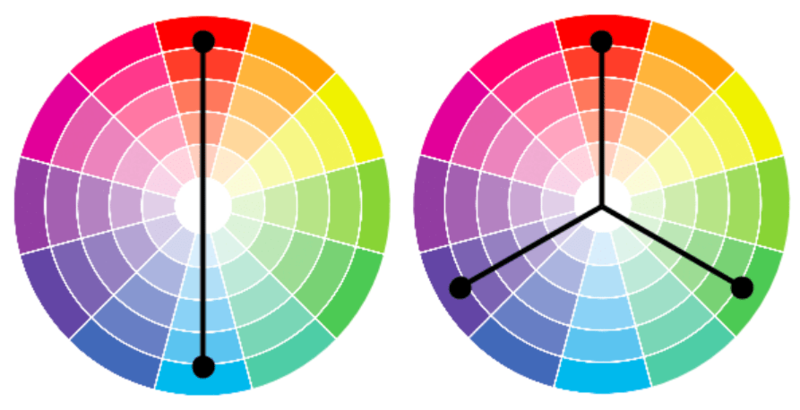 The color wheel can help you plan your website colors. You should focus on complementary colors, the ones across from each other. And split complementary colors for conversion rate optimization. Just like colors are essential in a good website design, white spaces are must for design. The important elements should have white space around them to keep them in focus and increase legibility which will in turn help in conversion rate optimization. The Adidas website has a black theme, but the button like “SHOP MEN” and “SHOP WOMEN” have adequate white space. This brings the focus on the primary call-to-action buttons at once. Using the right images and videos can immensely help in conversion rate optimization. If your header images are impressive, you immediately have your customer’s attention. And low-quality images can create a negative perception about the brands as well as products. Check out how Nike’s banner video is more about their customer’s persona. It immediately connects you to the kind of user base Nike has. The more people relate to your header image, the longer they will stay. Content has always been king. If you don’t focus on having quality content, you will lose potential customers. For a highly converting website, check out the following elements of your conversion rate optimization checklist. If your headlines are catchy, people are more likely to keep reading. 90% of visitors who read the headline also read the copy. Truckers report increased their conversions by 79.3% by making their headline more prominent on the left side of the screen. Now, that’s an interesting headline. As soon as I read it, I’m tempted to read the text below. Do you have an impressive headline for your website? If not, create one for conversion rate optimization. 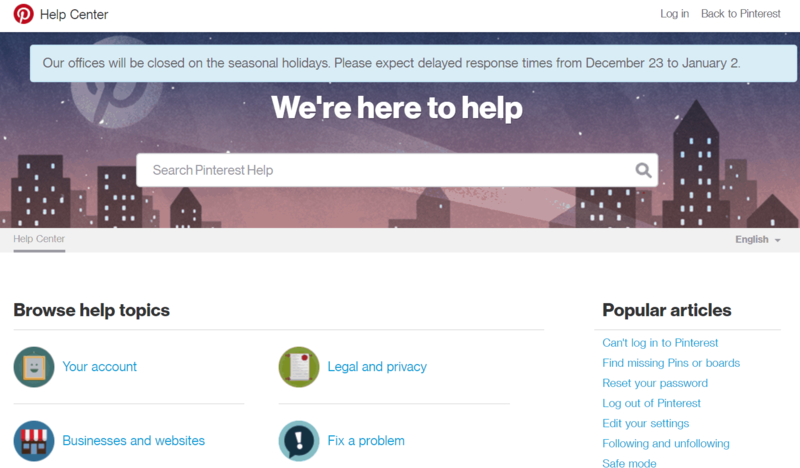 As soon as the user lands on your homepage, it should be obvious what they are doing there. The homepage should clearly list the benefits of your products. Establish trust by giving the factual information about your brand. 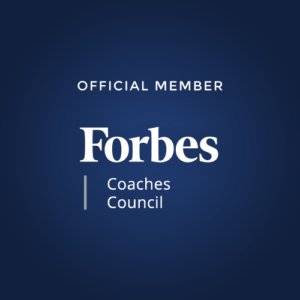 The more valuable information you share, the more they connect. Less than 5 seconds on Shutterstock and I know exactly what I can get from them. 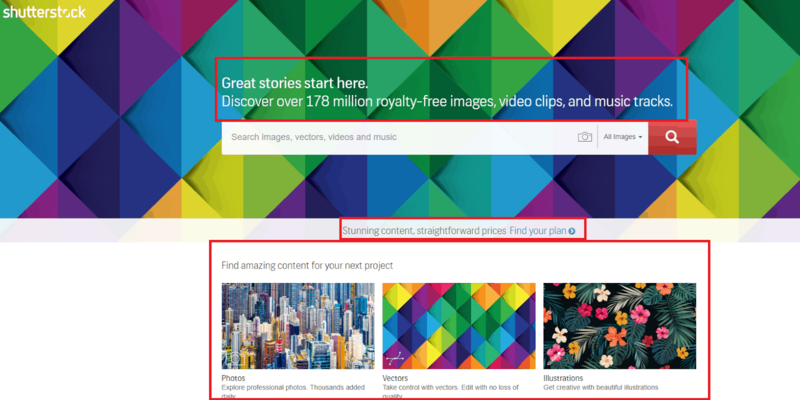 They have 178 million royalty free images at a price. They have videos as well as music tracks. That’s it. Can you list all your features in few simple lines? This needs to be one of the basic steps of conversion rate optimization. Figure out your top products and add them to your homepage. Use analytics to find out the most viewed products or pages where people spend more time. Having your best sellers or top performing products on your homepage can be great for conversion rate optimization. Undoubtedly an important trust signal, testimonials work great on homepages. People having difficulty determining your product’s usage, will be more interested if they see their peers using it. Customer testimonials help to build credibility in the minds of your potential customers. Hence their likelihood of converting increases. So make sure to include testimonials for conversion rate optimization of your website. Testimonial with numbers are amazing because they directly explain the value your product offers. Testimonials with headshots are more valuable because they are more credible. When people look at the faces, they believe the testimonials. Testimonials with names and job positions. Just adding names without their business information makes the testimonial less credible. Add their business information like company name and position to the testimonial whenever possible. Do you need social icons on your homepage? Yes, you do for sure. If your presence is relevant on any social media platforms, add the icons to your page. Brands also add their Instagram widget on their website to bring more people to their social media pages. It’s a win-win for your website and social presence. It brings more credibility to your website and more followers to your social profiles. Credibility definitely increases the likelihood of visitors to your site making a purchase. So make sure to include them on your website for conversion rate optimization. Optimizing your product pages is another necessary element of your conversion rate optimization checklist. If you have a huge inventory, ensure that your filters are perfect and products are easy to navigate. Another reason why it’s important to prioritize product pages: Your product page has your price information, shipping, and delivery information. 80% people shop based on delivery time and shipping cost. 71% people shop based on product offers. One of the shoe e-retailers found out that 65% of their product returns were because of bad fit. 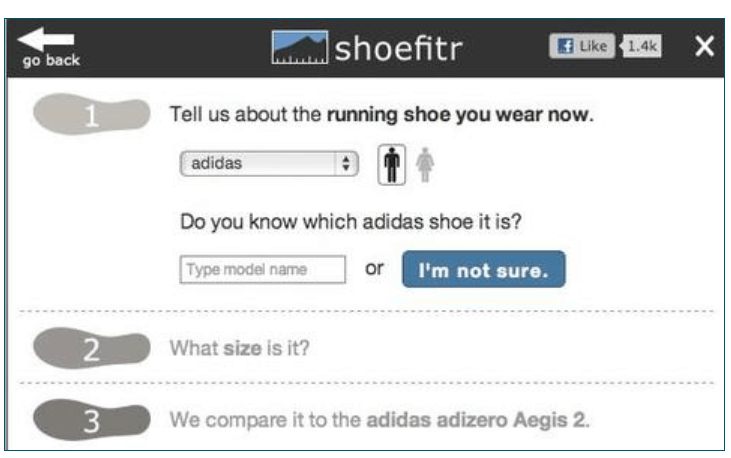 Once they added an application to help users find out their shoe size, returns decreased by 23%. It’s a given that any incorrect information on product pages can be disastrous. But that’s easier said than done. Many businesses often give wrong delivery or refund information. Any such mistake can cause distrust and bad reviews. Ultimately reducing your conversion rate. Have your team cross-check all the product details before you go forward. This is a crucial step in conversion rate optimization. Offering high-resolution images will help you boost your product sales and reduce returns. 22% of returns are due to the product images on a website appearing differently from the actual product. High-quality images are time-consuming, but they are a one-time investment that you need to make. 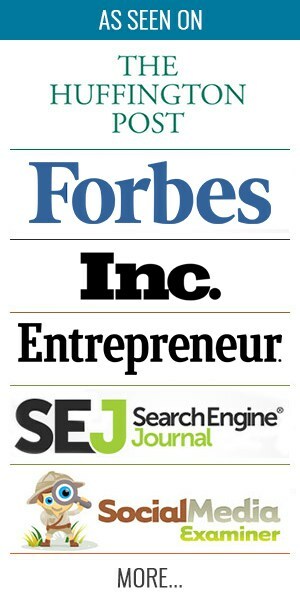 These can help your conversion rate optimization immensely. 87% of Americans determine where to shop because of product price. Pricing is a very important element in conversion rate optimization. Make sure the currency is mentioned everywhere with the price. If you have international customers, give them the option to change currency. If you have any existing offers on price, clearly state the terms and conditions. For example: if the price shown is after discount, state it. Your shipping information is correct for different zip codes. Clearly state free shipping criteria and price range. Clearly, state how your product is shipped. If you offer shipping insurance, add it to your shipping information. If you offer same-day delivery under different scenarios or prices, state it clearly. Before making an online purchase for the first time, 82% U.S. adults read ratings and reviews. Product reviews are essential to increase your product conversions. When people read reviews, it helps them yo make an informed decision. 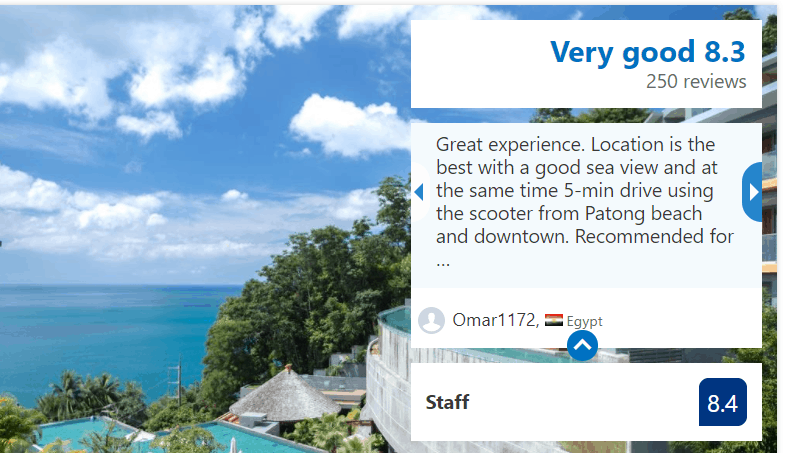 People believe reviews more so go ahead and add reviews on your product pages. This will greatly help your conversion rate optimization. Make sure your reviews are easy to find. Give review count, name, nationality, and stars for easy understanding. It’s better if people can easily go through them without changing tabs. 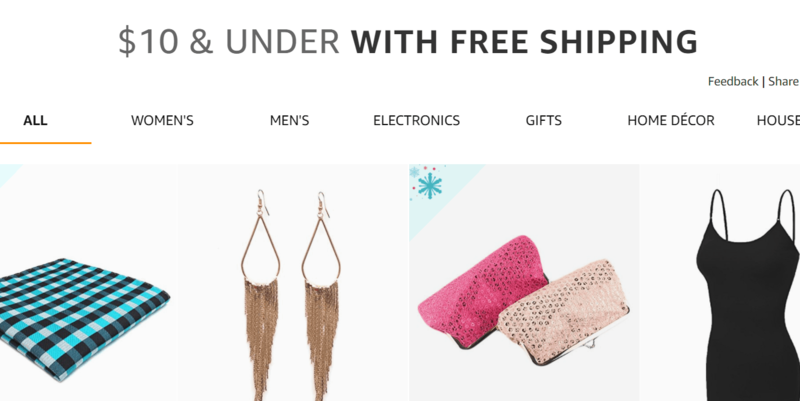 Don’t want people to abandon you site at the checkout page? If you want conversions, you have to optimize your checkout page. You don’t want your customer to back out at the last step. You can increase conversions by 35.26% just by checkout optimization. Enable guest checkout – This will give people an option to complete the checkout without creating an account. Keep only required fields – If there are fields like date of birth which you don’t really need, avoid them. Only ask for the essential information from the customer. It can be really frustrating for the user if you don’t have a different validation error for each field. If they see the form has error without knowing the exact error, they will give up quickly thus affecting your conversion rate optimization. It’s surprising that 40% of sites don’t have inline validation, and 20% of them have incorrect validations. 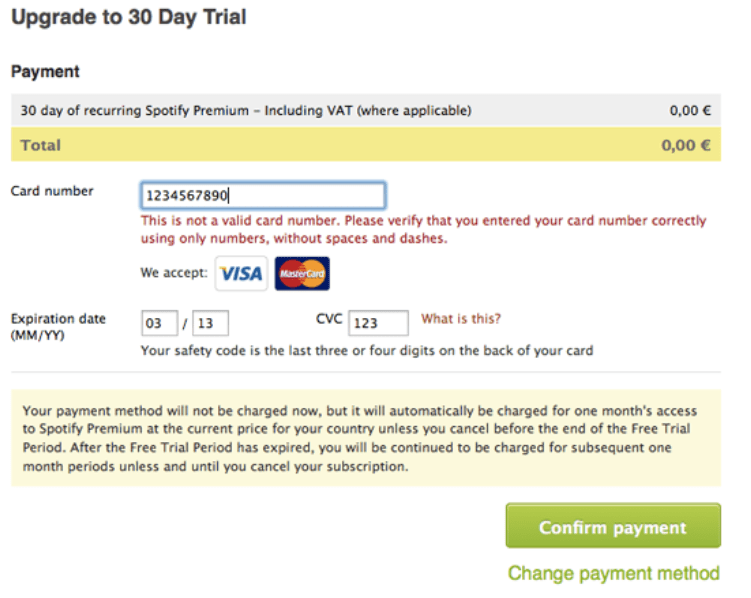 It can look very unprofessional, so make sure your checkout page has right validation errors. 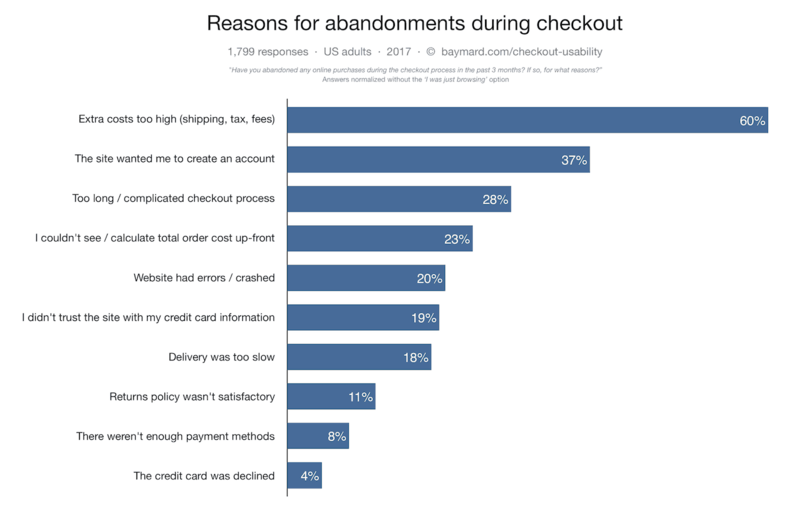 56% of people expect many payment options on the checkout page. Integrate your payment methods with payment gateways like PayPal and Stripe to provide people with easier payment options. Also, make sure that you give proper errors in case people enter incorrect information. The last thing anyone wants is to re-enter the payment information because of a website error. So try to give errors then and there which will in turn help in conversion rate optimization. Do you know that 44% of visitors abandon a website with no contact information? That’s how valuable your contact us page is. Create an effective contact page as per your business model for a better conversion rate optimization. Some businesses use live chat to immediately help their customers. Logical Position increased their leads by 150% by integrating live chat support on their website. Brands also prefer to just add a contact us form on their page. Some businesses prefer adding phone numbers or app information. It’s your call. But, make sure to respond when people contact you. It also helps your customer make an informed purchase. Adding FAQs can be a real time-saver and a great value-addition to help your customers. 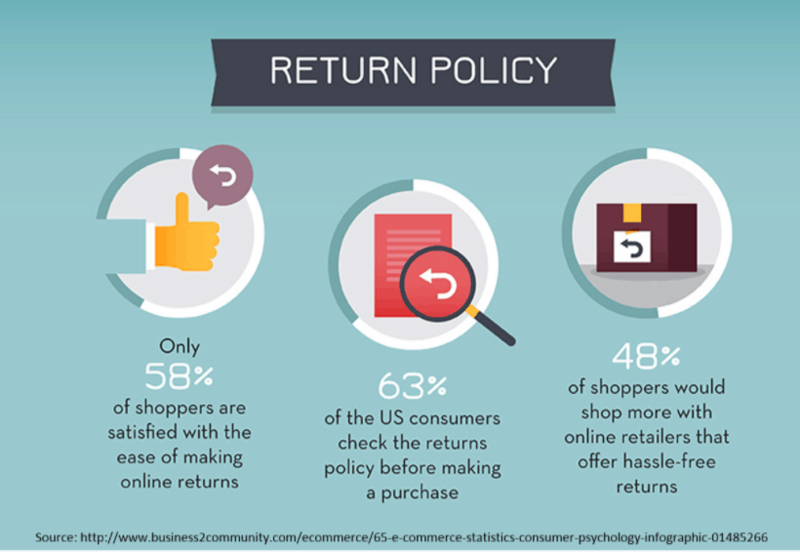 Your return policy needs to be appealing and hassle-free. It will also help you establish customer trust. Need an example to start? 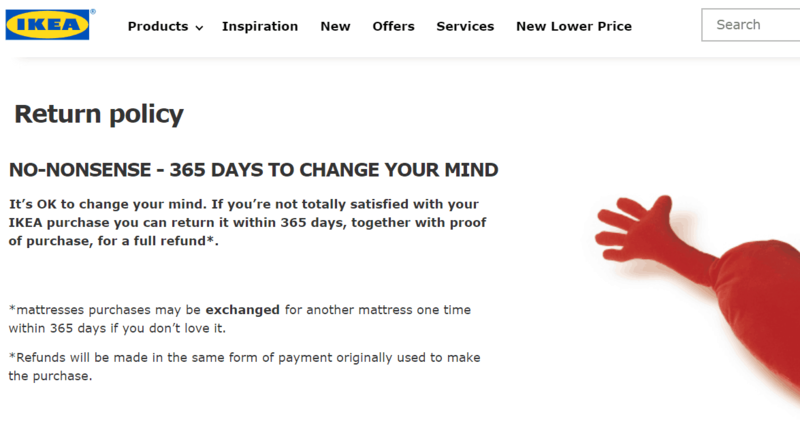 Check out IKEA’s no-nonsense return policy. People don’t have enough time, and if they don’t understand how to navigate your site, you’ll lose conversions. 37% of people say that a bad navigation experience is enough for them to leave the website. Weave Got Maille increased their conversions by 40% by improving their checkout flow and website navigation. Keeping a logical navigation option is a basic step in conversion rate optimization. Check if the flow is easy to follow and if people can find what they are looking for. One of the first things to check is that if your menu design is optimized for both desktop and mobile. If your desktop site’s menu is optimized but not mobile, you’re making a big mistake. Global mobile users have reached 2.7 billion, so you can’t afford to have bad navigation of mobile. Managing the filters on a mobile device can be challenging. Bras N Things increased their overall revenue by 60% by working on their mobile experience. They made the mobile design so that people can find what they’re looking for. The conversion rate also increased by 90%. Your menu design is crucial to your ease of navigation. Even the most complex sites can make their navigation easy to understand with right design to increase their conversion rate optimization. Cox & Cox’s large drop-down menu was the biggest complaint from their customer. Changing the shape of menu with other changes improved total sales by 80.35%. Check out another example from eBay on a good menu design. You can learn how they have arranged such a complex site with this simple menu. Your menu categories define the flow of your navigation menu. It’s imperative to plan your menu categories before you jump forward. How should you decide on your menu categories that will improve your conversion rate optimization? Decide the simplest way to divide your inventory. Divide your simplified inventory to understandable categories. List them as primary categories and see how you can divide further. Keep the most popular and most searched categories first. 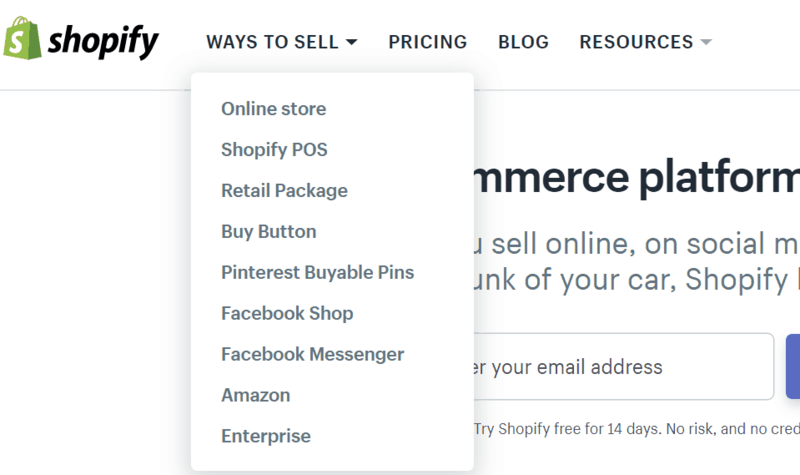 Here’s an example from Shopify. See how they have arranged their menu categories. Discounts are a great way to motivate consumers to buy products online. 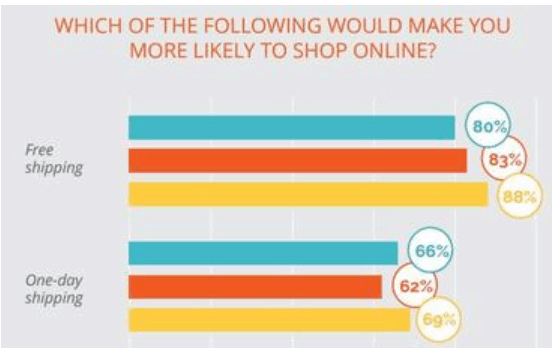 71% of Americans shop online based on the availability of offers and discounts. If your offers are unclear, chances are your visitor is not going to complete the purchase. An offer could be a percentage discount, cash-back, free gifts, free consultation, free trial, etc. It could be a traditional offer that has always worked for you, or something new and unique. What’s important is how you communicate the offer to have an effective conversion rate optimization. Another thing that counts is how many offers you have. According to research, the more offers you provide, the tougher it is for the customer to decide. Even so, more than 48% of landing pages have more than 1 offer. Don’t mix multiple offers on your website. You will only confuse your potential customers. Is your offer clear on your website? How many seconds does it take to comprehend the benefits of your offer? The clearer the offer, the higher the chances of getting the click. Why is this offer interesting? Because it makes it quite evident what benefit I’m going to get. I immediately know that if I decide to book this hotel, I save 34%. This website has similar offers for different hotels and flight bookings. 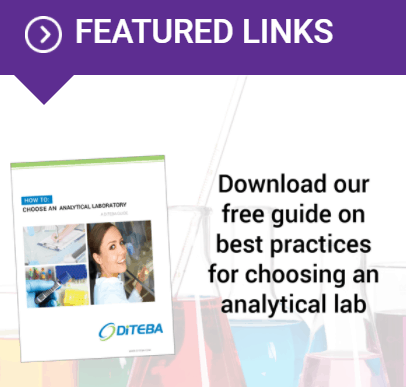 Diteba research laboratories increased their conversions by 3 times by offering ebooks and case studies on their website. Your conversion rate optimization can be more meaningful by finding the right offer headline and maximizing value. Clearly stating your offer’s terms and conditions will save you from returns and increase your conversion rate. Promotional discounts are known for increasingthe return rate. To avoid any hassle, you need to clearly state your offer terms and conditions. Check out the example above. This offer clearly specifies how and when the offer is available. Precisely, what any customer wants to know. You can create a similar offer with clear information and a call-to-action. It’s important to make the offer deadline prominent so your customers can make a decision faster. A great strategy to target your customers efficiently is to provide offers based on locations. This will help you in your conversion rate optimization and provide a rich user experience to your customers. Localizing your offer will also improve your website’s SEO. Because when you localize, you can target long-tail, location-specific keywords. And targeting long-tail keywords converts 2.5 times more than general keywords. In this example, Comfort Suites offers a special discount to parents visiting Trinity University to attend graduation ceremonies. 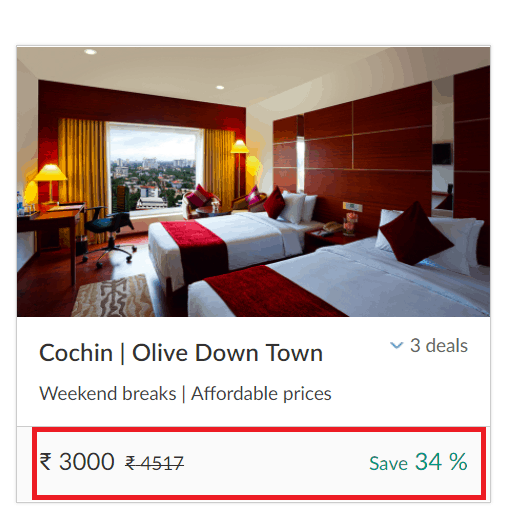 Don’t you think such offers will have a better conversion rate? Landing page optimization is an important part of conversion rate optimization. That’s the first page your customers see after clicking on your ad. Long landing pages are known to increase conversions by 220%. Workfront noticed that their 2 landing pages were generating higher leads and lower conversions. After testing some variations, they increased their conversion rate by 104%. Your landing page has three essential elements: headline, body, and a call-to-action. A good landing page will explain the ad in length, highlighting the potential benefits. Can editing your landing page increase your conversions? Sure, it can. Crazy Egg noticed that few seconds after people landed on their page, they left. So they added an explainer video to their landing page. This conversion rate optimization improved their conversions by 64%. In another example, Truckers Report increased their landing page conversions by 79.3%. How did they do it? They changed their background images and funnel design. Before you read further, remember this statistic: For each marketing campaign, 48% of marketers decide to create a new landing page. So if your ads are very different from each other, create separate landing pages for them. This will make your conversion rate optimization more efficient. Your call-to-action button is hands down the most important aspect of your landing page. You make a mistake here, and all of your efforts will be for nothing. a. Have a clear call-to-action button on your landing page. An example of an excellent landing page. It has the perfect headline, content, button clarity, and references. As you look at this example, you can see how prominent the CTA is. That’s the only thing highlighted on this landing page with a bright blue color. b. Avoid using too many call-to-action buttons. BONIA had a cluttered website with too many call-to-action buttons on their landing page. Fixing this increased their conversion rate by 218%. c. Split-test your call-to-action variations. 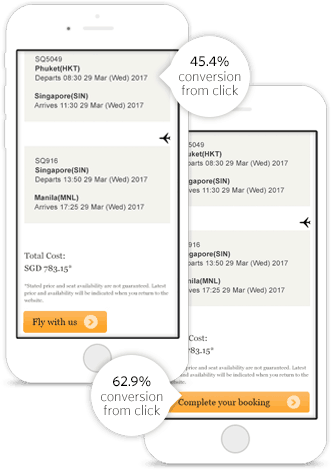 In a case study, finetuxedos.com tested two banners with different CTAs. One CTA outperformed the other by increasing shopping cart item selection by 39%. d. Use an “urgency” factor. Add phrases like, “xyz days left,” “immediately,” “limited offer,” and “last-day of sale” to improve conversions. BMI, a UK airline, added a call-to-action “Hurry, only XYZ seats left” with a red background. This increased their conversion rate by 2.5%. I can’t stress the importance of blogs enough. They have helped businesses improve their SEO, presence, and conversions. According to research, B2B brands that blog have conversions 67% higher than those who don’t. We discussed the importance of blogs on conversion rate optimization in another article. Here, we are going to see how to efficiently use CTAs in your blog posts. If you’re posting your blog posts without adding call-to-action buttons, you’re missing a golden opportunity. When people find your content interesting, they are more likely to click on your suggestions. 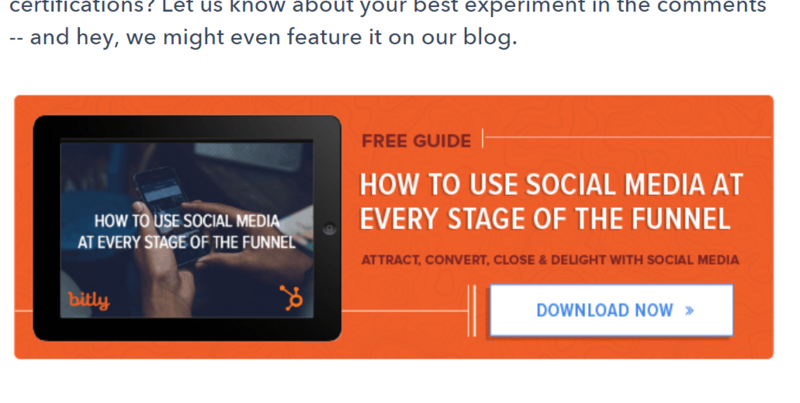 Hubspot uses free guide download buttons on all of their blog posts. Check out the CTAs below, and how attractive and colorful they are. Townsend Security added call-to-action buttons on their blog posts. That with some other changes improved their conversion rate to 30%. You can do it too. Using effective CTA buttons in your blogs posts will help you improve your conversion rate as well and increase conversion rate optimization. Adding social sharing buttons on your blog will improve your reach, which will improve your conversions. Using user-generated content from your social media profile on your blogs will also help. 56% of people are more likely to buy a product if they see it in user-generated content. Pura Vida Bracelets showcases their Instagram pictures from customers on their product pages. So go ahead and add social sharing icons on your blog as well for conversion rate optimization. According to research, when you retarget your website visitors with display ads, their chances of conversion increases by 70%. Does that motivate you to add retargeting to your conversion rate optimization? If you don’t retarget, you basically let go of someone who was likely to buy your product. Though there are many ways to retarget your customers. You can retarget them with display ads on other websites. You can retarget them on their social media pages. 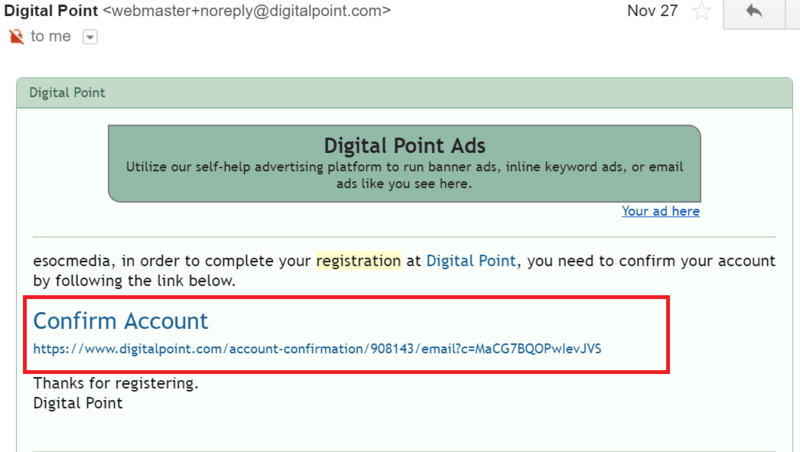 The good thing about retargeting them on your website is that you might immediately convert them. And you save retargeting advertising costs. Have you often landed up on a site and they kind of remind you that you’ve been there before? It feels weird at first, but you also feel connected to the website. Like you are valuable to them in some way. That’s precisely what a welcome back message is going to get you that will help you in conversion rate optimization. 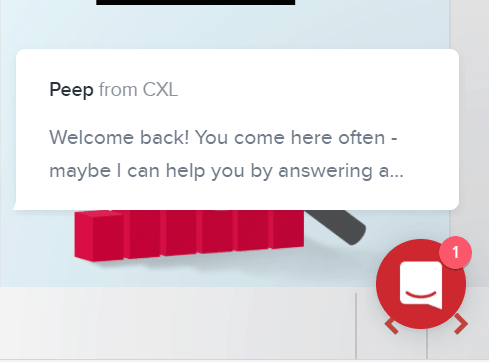 I found it interesting when I got this welcome message from CXL. Personalization increases your chances of conversion. According to a study, 65% people are more likely to buy when given personalized promotions. Think of some ways how you can add a welcome back message in your conversion rate optimization process. Shortening your customer journey increases your conversion rate. Ecrid increased their conversion rate by 21.3% by shortening their customer journey. How can you shorten the customer journey while retargeting which will increase your conversion rate optimization? After you’ve shown them retargeting ads, bring the customer to the product page. You’ll waste your ad budget if you bring them to the landing page. Because they will have to start their customer journey again. 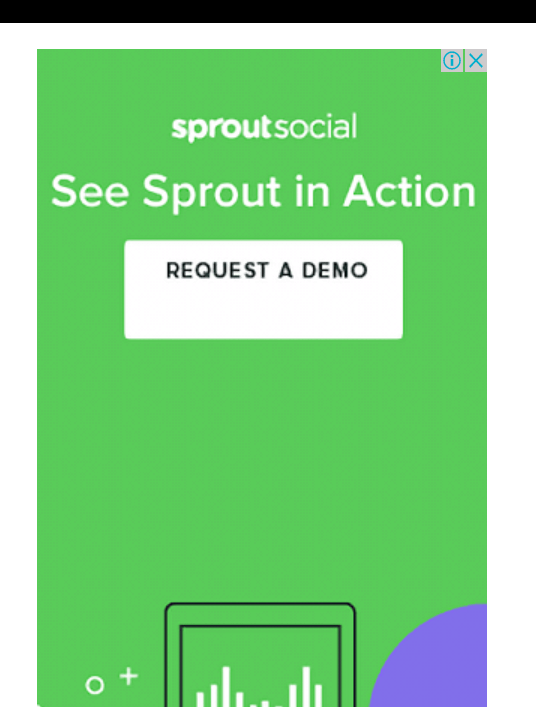 For example: When I see this Sprout Social ad and click on it. Instead of taking me to their homepage, they directly take me to the demo page. Do you know that 65% of people are more likely to buy from retailers who know their purchasing history? While you plan your conversion rate optimization, try and personalize experience for your different users. Squaw Valley Alpine Meadows increased their conversion rate by 41%. They segmented the website display based on the preference of website visitors. 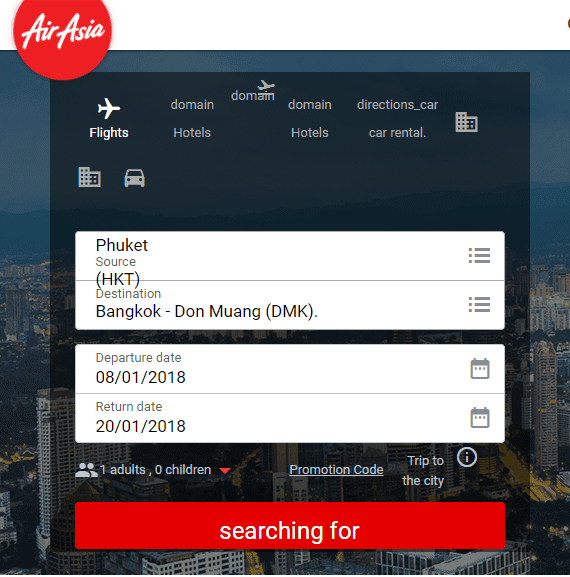 When I revisit AirAsia, they already have my previous travel details with a new date. A lot of times it is convenient for frequent travelers because they save time. And they are doing it with cookies and not with logging in. You can add this level of personalization in your conversion rate optimization for faster process. That’s it! We’re done with our conversion rate optimization checklist. Other than the points listed above, your SEO is also responsible for increasing your conversion rate optimization. Remember, that conversion rate optimization is neither a one-day task nor a one-day gain. It’s a constant effort and gradual gain. So don’t give up too soon if you don’t see immediate results. Follow both this conversion rate optimization checklist carefully to make the most out of your website traffic. Just keep in mind what your customer wants, and everything else will follow. If you have any questions or examples to share, please add them in the comments. And if you need my assistance for higher conversions, I’m happy to help.